Photo by Samir Hussein/Samir Hussein/WireImage(NEW YORK) — Aml Ameen can confidently say it was kismet how he landed the lead role of Dennis in Idris Elba’s directorial debut, Yardie. 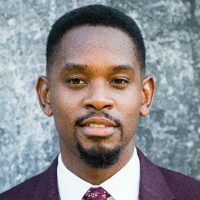 After Ameen connected with Elba on a plane — and eventually secured his role as the Jamaican gangster, D — the actor tells ABC Radio he discovered a deep connection to his character. However, becoming D wasn’t easy. Ameen had to learn the Jamaican patois, as well as connect to a dark and traumatic past. Yet the actor admits it was a worthwhile experience. Ameen also reveals that Elba let him cultivate his character during filming. But when it came time for his character to become a [DJ] selector, Elba — himself a DJ — was happy to be his guide. Yardie is in theaters now.